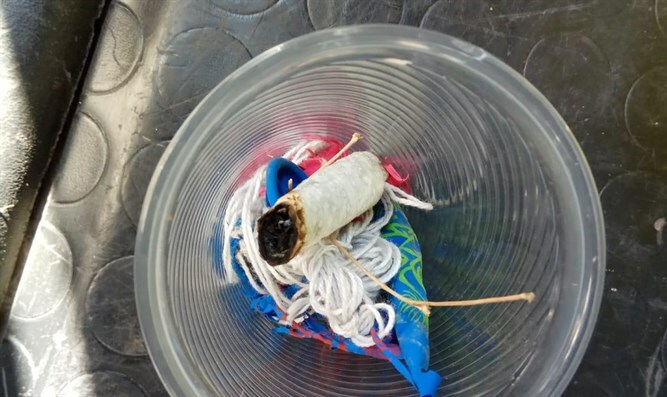 Woman alerts police after finding a number of incendiary balloons in western J'lem. A number of suspicious balloons were found Thursday morning by a woman in the “Emek Hamatzleva” area of Jerusalem. The woman alerted police, after which bomb disposal experts collected the findings. The incidents mark the second time in two days that incendiary balloons have been found in Jerusalem, after another such balloon was found in the German Colony area of Jerusalem on Wednesday. At the beginning of the week, two balloons were found near the capital, one in the community of Givat Ze’ev and another in the community of Beit Horon. Another two balloons were found in the area of Modi’in. According to Hadashot 2, in light of the growing number of balloons that have been found recently in central Israel, the defense establishment fears that incendiary balloon attacks emanating from Judea and Samaria will soon become routine occurrences, just as such attacks emanating from Gaza already have been for months.